We have been having some issues with our website and it meant that it was not accessible for a while but we’d like to say that we have got the website working and everything is back up and running as it should be. If you were been trying to access our website when it was down then we apologies for any convenience caused. 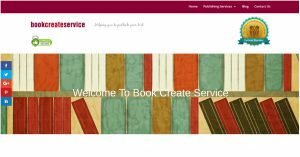 Please check out our site – bookcreateservice.com – to see our services and prices for typesetting, cover design and ebook conversion.